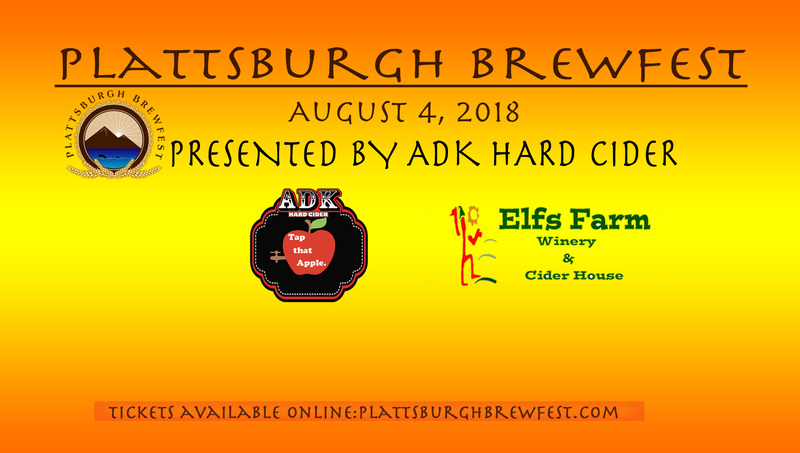 Join us for the Fourth Annual Plattsburgh Brewfest, featuring the best craft brewers from the Adirondacks, Adirondack Coast, Upstate NY, Vermont & Beyond. In 2017 we featured over 30 Breweries, Wineries, Cideries and Distilleries with Food Trucks and great music. The Plattsburgh Brewfest has been, is and always will be about the quality of local, craft beverages. It is not about the venue, which we have changed since the inception and we may change again this year. The Fourth Annual Plattsburgh Brewfest is currently a blind faith venue ticket purchase. VIP tickets have sold out every year within the first few weeks of being available. There are only 100 VIP tickets for sale. General Admission tickets have also sold out in previous years. While we are seeking and negotiating for our venue, in keeping with tradition we are putting the tickets on sale at this time of year. Should you have suggestions on where you think the Plattsburgh Brewfest should be held, please let us know. Thank You for your continued support and we look forward to another amazing brewfest. Names on ticket must match names on ID presented at gate.